Have you ever heard of Clare Balding’s Ramblings? Well, this Podcastellum is going to be more like Per Lineam Valli’s Stumblings; consider yourself warned. 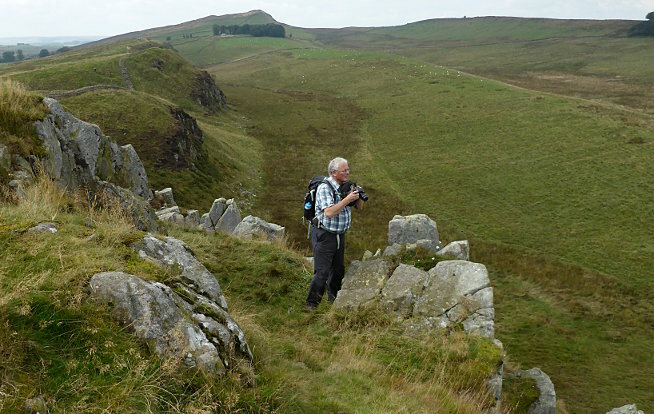 On a fine September day this year (2014), I met up with Mark Richards, author of the best-selling Cicerone guide to walking the Hadrian’s Wall Path. 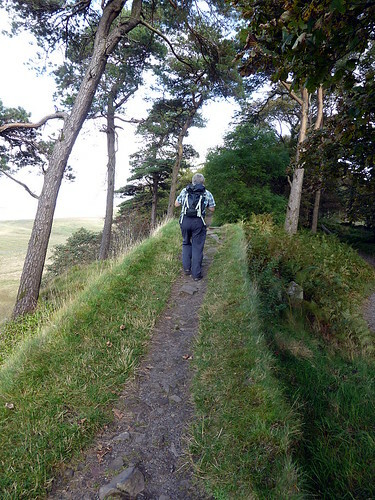 We then walked from Steel Rigg to Carrawburgh* and chatted, giggled, chatted some more, and generally passed the time of day, with subjects ranging from the importance of maintaining the Trail, how he writes his guide books, Walltogether, and why he is no longer a beef farmer. Oh, and his mentor, AW, gets at least one mention. I’ve edited the ensuing wordathon down to less than an hour to give you a flavour of our extremely enjoyable day on Hadrian’s Wall. 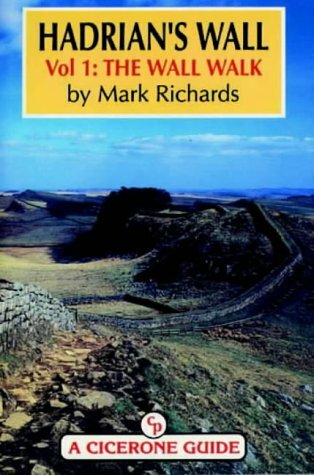 Mark wrote his first guide to the Wall back in 1993, long before the Hadrian’s Wall Path National Trail existed (although it was already being considered by then). 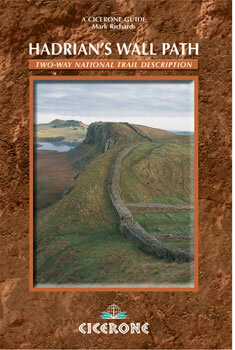 Once the Path came into being in 2003, the book was updated again and it is now one of the three main guides to the Wall (but the only one that considers that people might want to walk both ways on the Trail). He was in fact preparing a new edition as we met. Mark has not only written about the Wall, however, with guide books to the Lake District and the Pennines, all illustrated with his characteristic line drawings (which he calls linescapes). When we met, he was just about to film a DVD about Helvellyn and that is now available. My suggestion that he should produce a DVD on Hadrian’s Wall met with a mischievous twinkle in his eye and some surreal banter. The podcast is available as an MP3 file (48.8Mb). If there is enough demand I can create an Ogg Vorbis file too, but you have to tell me you want it. Right click to download. A bit torrent link is also available. Finally, if you prefer, you can stream it directly from the archive.org web page. With a fair wind and a measure of good fortune, you can subscribe to the podcast series using this link. 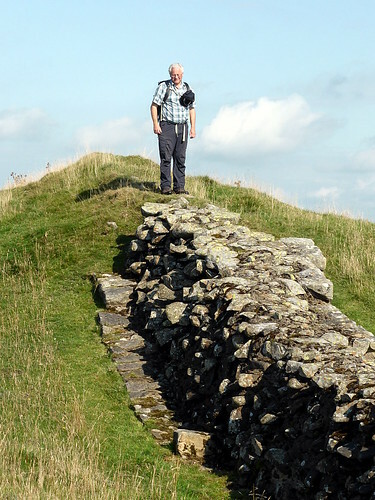 * In case you hadn’t realised, the best way to walk Hadrian’s Wall is from west to east. Why? The weather; the start; the weather; the finish (Segedunum! ); and, of course, the weather.